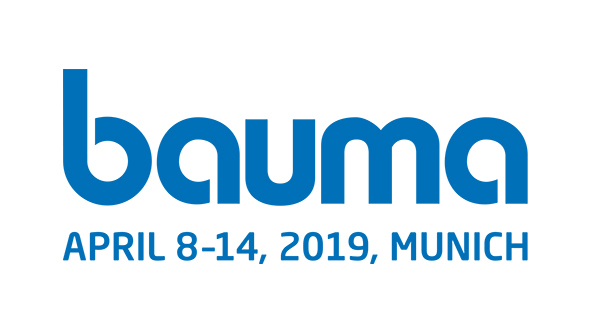 TTControl will be at bauma from April 8 to 14 in Munich, introducing several new products to our visitors at booth # 550 in hall A3. 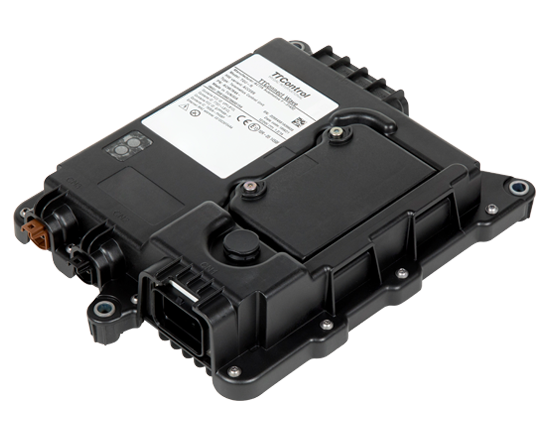 Product highlights include the brand-new rugged operator interface generation Vision 3, a new member of our high-end ECU family as well as innovative connectivity solutions. At bauma we will present a preview of Vision 3 for the first time, our new rugged operator interface. 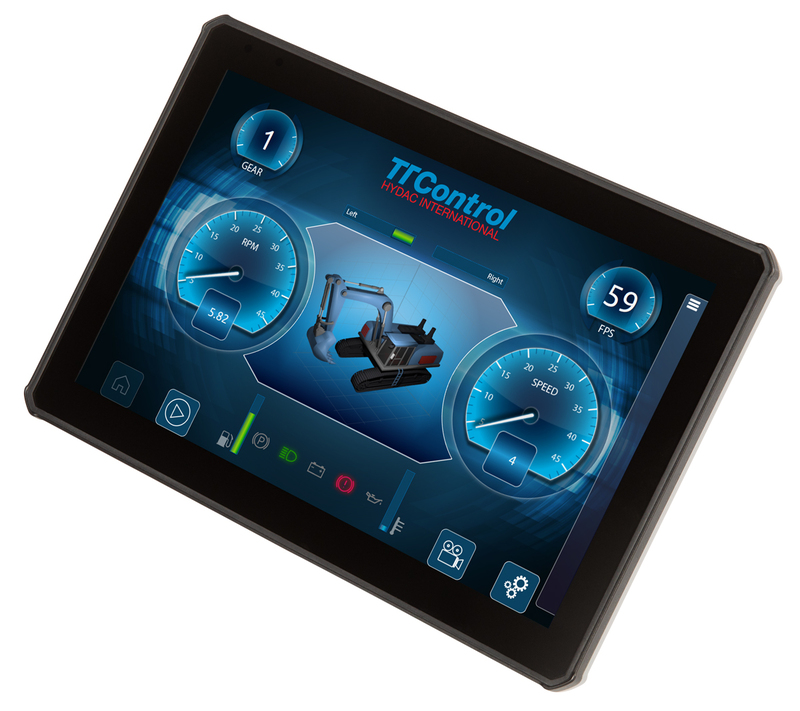 TTControl’s third rugged operator interface generation is designed for use in complex vehicle architectures and features proven CAN-bus technology and BroadR-Reach® Automotive Ethernet as well as high onboard computational power and latest multimedia technology. The new HMI assists the operator with optimized user experience and data visualization. Intuitive user interaction and high-performance electronics allow for handling complex machinery tasks, while enabling maximum flexibility and efficiency. The 4- Core CPU, GPU and hardware video accelerators ensure highest computational performance and graphical multimedia processing power. The offering is available as a single core processor variant and as an advanced Plus variant with a 4 Core CPU and an enhanced set of interfaces. Four camera streams can be streamed simultaneously and an integrated loudspeaker supports multimedia functionality. Its CAN, ISOBUS and Ethernet interfaces (100Base-TX or 100Base-T1) allow for seamless integration into electronic in-vehicle network architectures. “The user will experience high-performance already with the fast boot up of the device”, says Arno Purkrabek, team lead product management at TTControl. “In addition, the sleep mode feature enables wake-up within half a second via touchscreen input, wake-up pin, real-time clock, CAN or Ethernet”. Vision 3 will be included in the demonstration on display at our booth during bauma. We will also present our new HY-TTC 500 family member that expands our product family of high-end safety-certified ECUs. The latest family member HY-TTC 590 offers further features for use in high-end off-highway applications. The ECU is based on the same hardware platform and powered by a high-performance dual-core ARM Cortex®-R4 lockstep processor. It features a larger external flash memory of 32 MB and a 32kB FRAM that offers increased maximum read/write endurance compared to EEPROM non-volatile memory. The HY-TTC 590 also extends the connectivity capabilities with a 100BASE-T1 BroadR-Reach® interface available for both customer applications and debugging and application download purposes. The HY-TTC 590 ECU fulfills safety requirements up to IEC 61508 SIL 2, ISO 13849 PL d and ISO 25119 AgPL d. It is ISOBUS standard compliant and therefore particularly suitable for agricultural and forestry machinery. 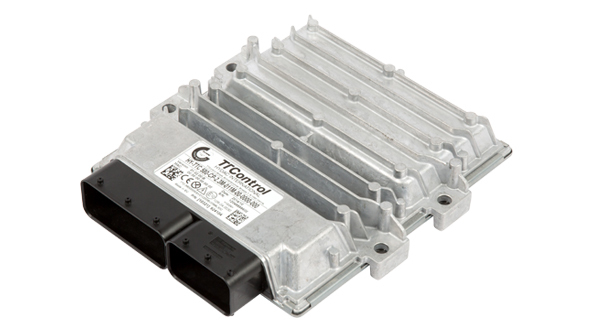 TTControl also launches the new connectivity platform TTConnect 616, designed for the management of network architectures of vehicles and machines in rugged operating environments. It combines and manages all in-vehicle interfaces such as CAN-FD, Flexray, LIN and Ethernet. 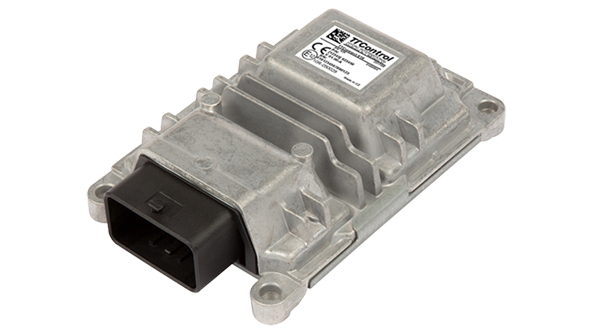 TTConnect 616 is the ideal solution for future-proof vehicle architectures where different types of traffic must converge and operate in a safe and reliable manner. Its wealth of interfaces is complemented by advanced traffic management software and future support for Time Sensitive Networking protocols. It is suitable for a wide range of other use cases and is usable as a configurable switch, communication gateway and as programmable ECU with I/Os, CAN and automotive grade BroadR-Reach ®(100BASE-T1) and standard Ethernet (100BASE-Tx) interfaces. With our new TTConnect Cloud Services and IoT Solutions, TTControl unlocks the benefits of digitization in the off-highway market. The solution allows for fleet management, vehicle maintenance and over-the-air updates of complete machine software. Machine data can be collected and analyzed in real-time helping to increase productivity and efficiency. The offering includes a hardware unit named TTConnect Wave, a M2M SIM card as well as a cloud service platform and a web portal. TTConnect Wave is a high performance, ruggedized IoT gateway designed and manufactured to connect your vehicle or machine to the cloud via wireless or cellular interfaces. The device provides standard in-vehicle interfaces such as Ethernet, USB and CAN in addition to its wireless and cellular interfaces. It has been designed to operate in extreme conditions, supporting a wide temperature range and IP67/IP69K rating. Machine data is accessible in the web portal with any web-enabled device via an intuitive dashboard that can be customized to your specific needs. Our experts at our bauma booth look forward to discussing with visitors how they can benefit from our IoT solution and will be introducing the customizable web portal.